“M Custom Furniture is the epitome of a quality custom wood furniture manufacturer. By blending old-world craftsmanship techniques and skill with state-of-the-art equipment, they create unique quality works of art from wood, glass, stone or metal. They work hard to exceed expectations on each order. Exceptional quality, creative design, attention to detail and timely delivery are what I have come to expect from M Custom Furniture. They have not let me down. 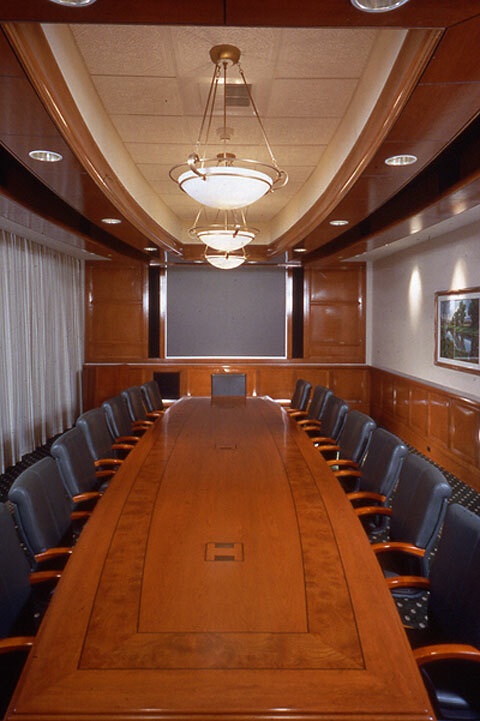 “As a leader in office furniture services, Manning Group has the opportunity to install all types of product from all over the globe. We have seen hundreds of different manufacturers throughout our ten years in business. In seeing so much furniture on a daily basis, it is rare that one of our installers is impressed by any one piece. By now they’ve “seen it all”. The exception to this rule is M Custom Furniture. On multiple occasions I have received feedback from our team about the exceptional quality and detail in their work. I have personally seen several of their items which are simply put—beautiful. M Custom Furniture is in the elite tier of furniture manufacturers, not just locally or nationally, but ANYWHERE. If you are looking for the best, they are the people to call.